It was another highly fruitful venture for seven National Circus School graduates, who triumphed s at the 39th Festival Mondial du Cirque de Demain. 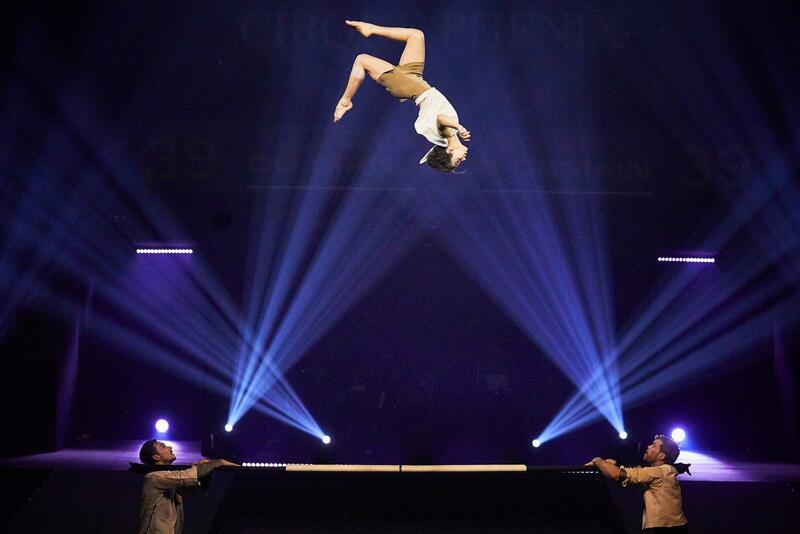 Held in Paris, this major international competition, an event often compared to the circus Olympics, each year attracts the most talented circus performers on the planet. The Russian bar trio Barcode Company, made up of Alexandra Royer, Éric Bates and Tristan Nielsen (all 2011 graduates), won a Silver Medal and the Audience Award. The hand-to-hand duo of Tristan Nielsen (2011) and partner Ève Bigel took home a Bronze medal. Julius Bitterling and César Mispelon (2017), also in hand-to-hand, garnered both a Bronze medal and the Moulin Rouge Prize. Mélanie Dupuis and Alexander Taylor (2016), a fixed trapeze duo, were awarded the Special Jury Prize. And, Arata Urawa, a student-intern at the School in 2016, walked away with a Bronze medal and the Lido de Paris Prize. The entire School team congratulates the winners of this competition, who reflect commendably on the outstanding work of the teaching staff. This is not the first bid for the podium for the École nationale de cirque at Festival Mondial du Cirque de Demain. Over the years, less than 90 of the School’s students and graduates have earned distinction by winning more than 50 medals and special prizes at this festival, including 10 gold medals, 19 silver and 12 bronze.